The affected region produces 10 percent of the country’s milk, and the Times says that about 10 percent of adult dairy cows in one section (west Texas, the state’s dairy hub) were lost, while the trade group representing 75 percent of New Mexico’s dairy farms says it could take an entire year to return to pre-storm milk levels. Farmers will take a hell of a hit, in other words, but they say it’s hard right now to know how bad it’ll be. Losses go beyond dead cows (which one rancher noted cost $2,200 to replace), because cows that survived have been through an ordeal, too, that will seriously hamper productivity. 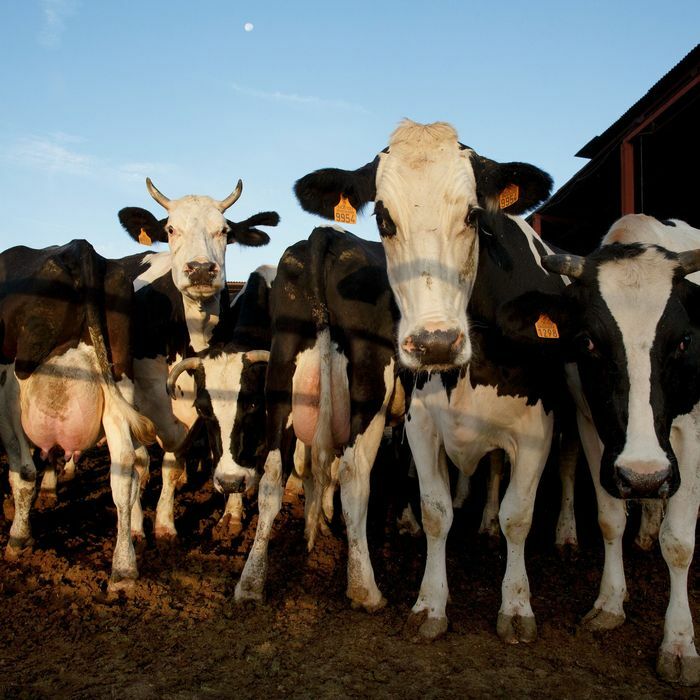 Cows kind of dry up if they aren’t milked twice a day — many of these poor creatures spent two days shivering alone in hutches — and even worse, milk farmers stored in tankers beforehand likely spoiled because delivery trucks couldn’t arrive in time, also thanks to the storm. The one bit of good news is for consumers: The price of dairy products isn’t expected to rise noticeably.